For example this can often happen with the Cordova SplashScreen plugin. 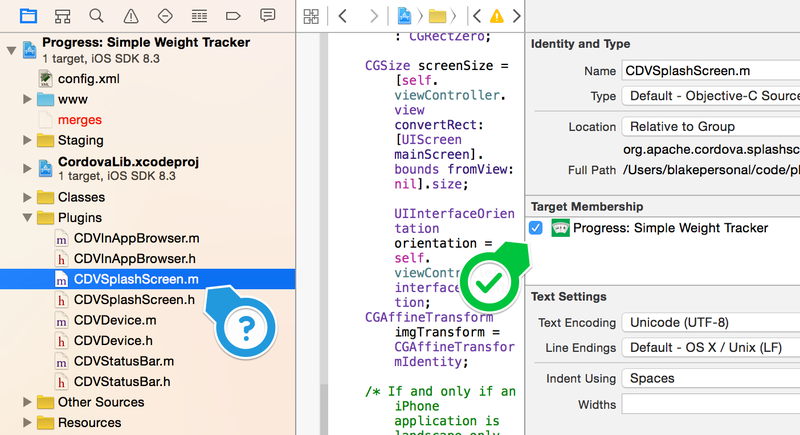 See the screenshot below and ensure that the .m implementation file has a checkmark on the "Target Membership" option for your application. Only the implementation file should have the target membership checked (so not the .h header file). This is often the reason why a plugin appears simply not to work. It's always good to check this setting first before debugging further.